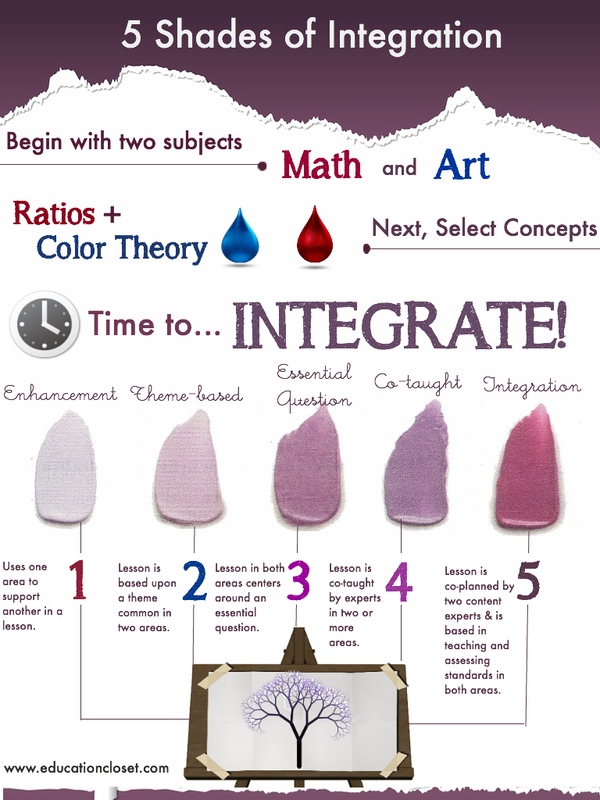 For today’s Free Friday, we’re offering you a new infographic that provides insight into 5 different shades of integration. Many times when I work with schools, they confuse baseline enhancement with full integration. Or, their interpretation of integration leaves out some important components, kind of like a “lite” version of a software demo product leaves out the full features of the product you would buy. It’s okay and has some functionality, but the most authentic experience lies in the real deal. The same is true for integration. Things like enhancement are okay and certainly a first step, but then we need to make sure we call it what it is: enhancement. By passing it off for integration, we’re not being authentic to the true power of the process. What trips up most well-intentioned schools and districts is the varying definitions of the integration process. There is a lot of research out there that explains ways that you can integrate a curriculum, and it can get confusing as to whether you are using full integrated implementation or a variation on that spectrum. So today’s infographic is meant to explain both the shades of what integration can look like AND what each of those variations mean. Keep in mind that this is a base for exploring these variations and not the end in itself. After all, it’s always better to leave an audience with questions to ponder than to answer the questions for them. So let’s keep this dialogue going: what shade of integration are YOU using?